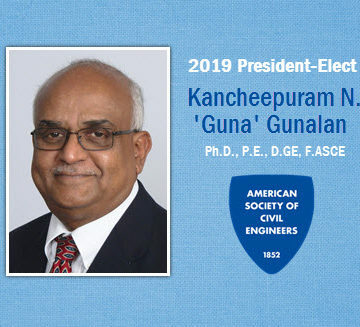 Kancheepuram “Guna” N. Gunalan has been elected ASCE’s 2019 President-Elect by a majority of voting Society members, following a month-long election that closed June 1. “I’m humbled and honored by the opportunity I’ve been offered to serve the Society and the profession,” Gunalan said Tuesday, having learned of his election. Gunalan, Ph.D., P.E., D.GE., F.ASCE, is vice president of alternative delivery at AECOM, based in Salt Lake City, UT. Previously, he was a vice president for Parsons Brinckerhoff. He will be inducted as president-elect at the Annual Business Meeting this fall at the ASCE 2018 Convention in Denver. Gunalan credits his family – wife, Duru, son, Kabilar, and daughter, Pallavi – with support. “It’s been a long journey, and I’m grateful for my family,” Gunalan said. “My son and my daughter helped me a lot with the campaign. My wife has been my pillar of support – and she is my unofficial photographer. 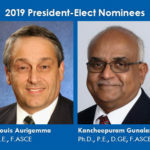 Gunalan now will take that support from his family and turn it around so that he can support ASCE in his new leadership role. 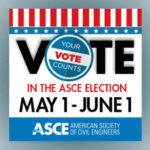 Please accept my hearty congratulations for having been elected as President-Elect for ASCE. 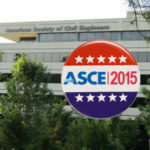 I am proud of your accomplishments and active role you have played in ASCE. I also worked in both Parsons Brinckerhoff (Senior Professional Associate) and AECOM ( Technical Director of Water Resources). No I am retired after serving in Caltrans. Congratulations to Er.Mr.Gunalan and all newly elected members. Congrats to new elected members.